Rockford Dance Company will celebrate its 45th anniversary this year by remembering the past, looking forward, and raising money with a fund drive so that the lives of local citizens can continue to be enriched through dance. 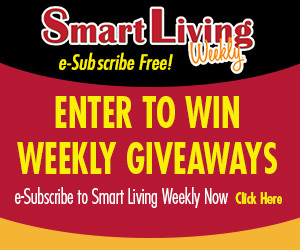 Congratulations to Evelyn Petersen, of Machesney Park, this week’s Smart Living Weekly giveaway winner! Evelyn takes home 2 Tickets to Klehm Arboretum & Botanic Garden’s Wood Song Music in the Garden, in Rockford. This event is July 15th, featuring Danielle Juhre. Next week’s giveaway is 2 day passes to Magic Waters, in Rockford. Enter now by visiting northwestquarterly.com/contest. This entry was posted on Wednesday, July 4th, 2018 at 5:00 am	and is filed under News & Events, Smart Living Weekly. You can follow any responses to this entry through the RSS 2.0 feed. Both comments and pings are currently closed.